In this mini-bus (max 19 person) trip, you will be accompanied by experienced guides and a small group of other adventure-seeking travelers who wisely say no to a boring coach bus. 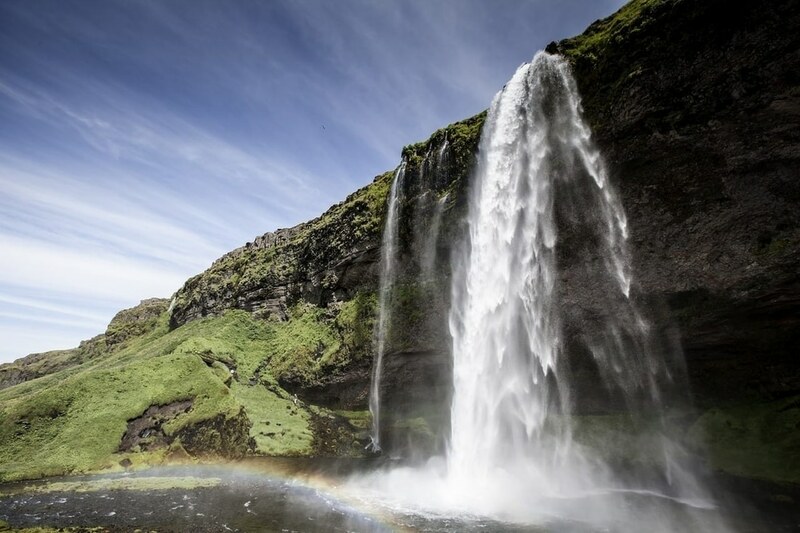 The pearl of the South Coast has to be Skógafoss waterfall. 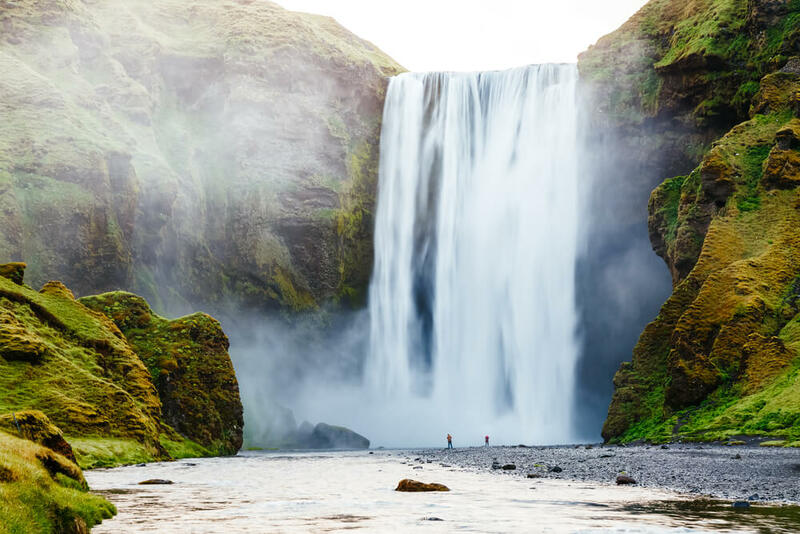 From the 60 meter high cliffs of East Eyjafjöll mountains, the waterfall pours down making, arguably, the most photogenic waterfall in the country. Over the years, the water has carved itself into the mountain, tucking the beautiful waterfall into a small gorge. Add rainbows forming in the waterfall’s spray and you have yourself a Kodak moment. Alongside the waterfall lies a staircase up to the cliff with views looking down into the gorge and onto the waterfall. The 527 steps up to the top provide a fantastic warm-up for the glacier hike! 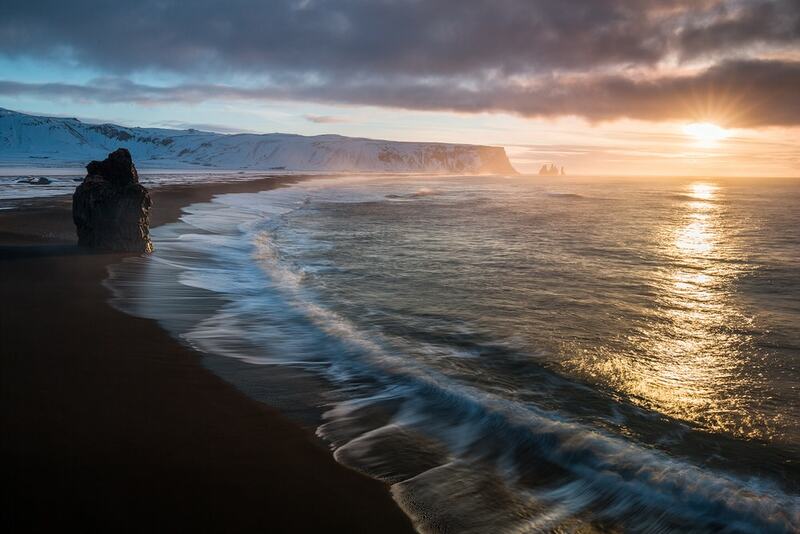 Heading further east, we visit the black sand beach of Reynisfjara where the Atlantic coastline presents massive waves hitting the unique basalt columns in the cliffs above the sand. 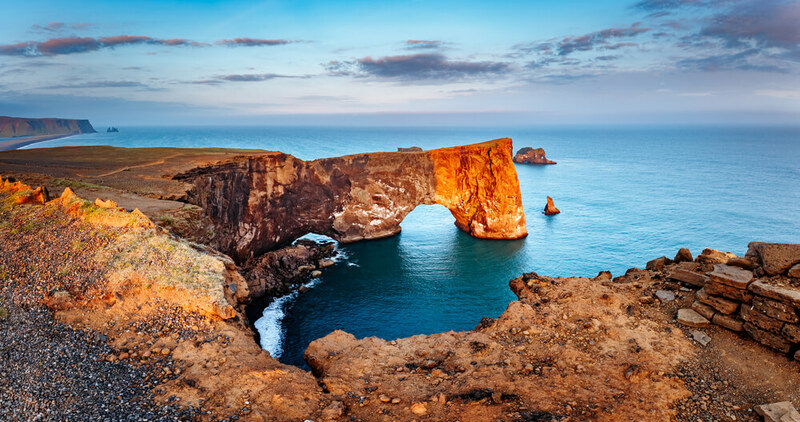 Rock pillars in the water and the cliffs of Dýrhólaey are seen in the distance. 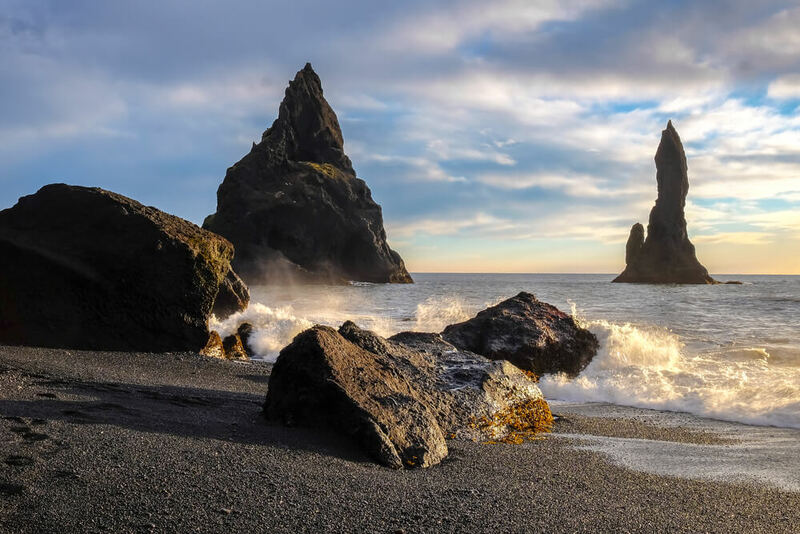 This area of the south is also a paradise for bird lovers, as puffins and dozens of other unique species nest on top of these cliffs in the summertime from June to August. This was exceptional! 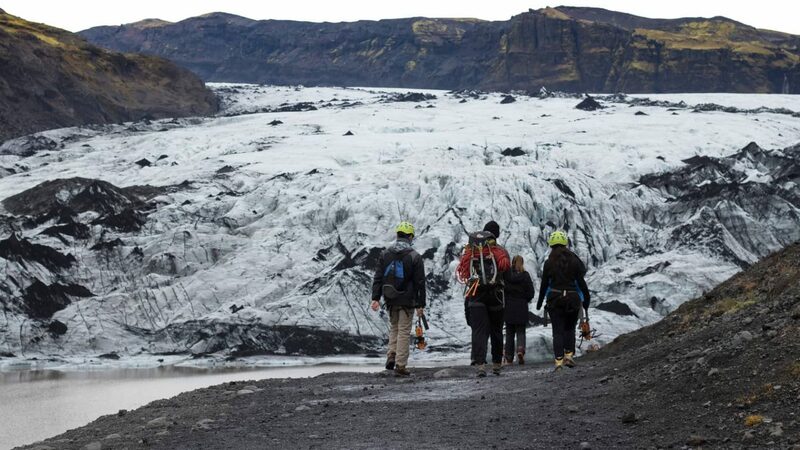 It was really well organised with stops at the two beautiful waterfalls, black sand beach and finally the absolute highlight of the glacier hike. Siggy, our tour guide was fantastic. I absolutely recommend this tour!